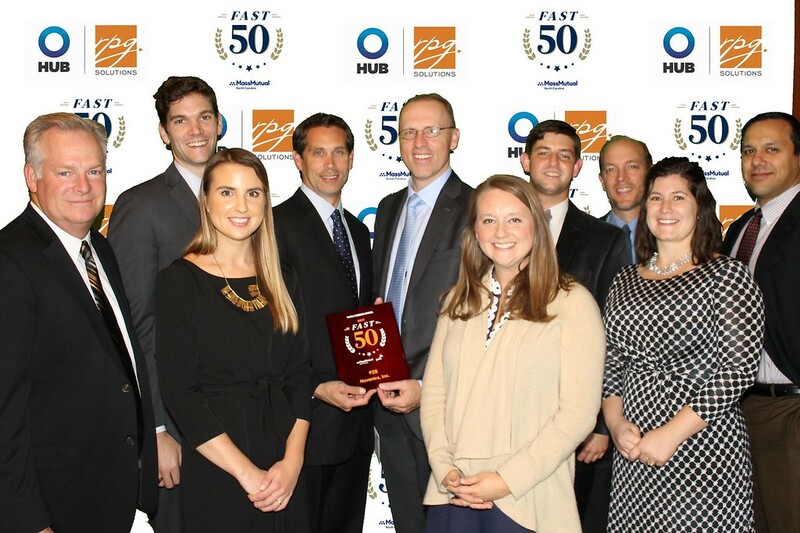 On Wednesday, Nov. 8 2017, Nuventra was honored as one of the fastest growing private companies by the Triangle Business Journal (TBJ) at the Fast 50 awards reception. Ranking 28th on the 2017 Fast 50 List, Nuventra moves up from the 37th rank last year. 10 Nuventra employees attended the awards ceremony to celebrate the achievement. Nuventra is proud of what this award represents and is excited to continue working towards sustained growth. The TBJ Fast 50 Awards winners are an assemblage of the 50 fastest-growing private companies in the Triangle area. The Fast 50 winners were selected and ranked based on a formula that counts revenue growth and profitability in the preceding three years (2014-2016). You can view the complete list and learn more about the Triangle Business Journal here.